Flat signed by the author. From early mining camps and railroad towns to latter-day cities, Montana’s red light districts cultivated a special strain of entrepreneur. 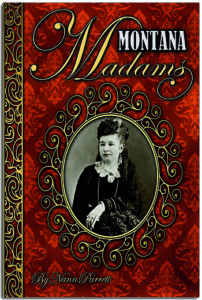 With painstaking original research and rare historical photographs, Montana Madams uncovers the complex lives of twenty-three women who managed the skin trade under the Big Sky from the 1860s into the 1980s. Here are the bawdy exploits of Madame Moustache, Chicago Joe, Big Dorothy, and Mary Gleim, but also the unsung sagas of Mattie Lee, Louisa Couselle, Betty Rogers, Etta Feeley, and more.